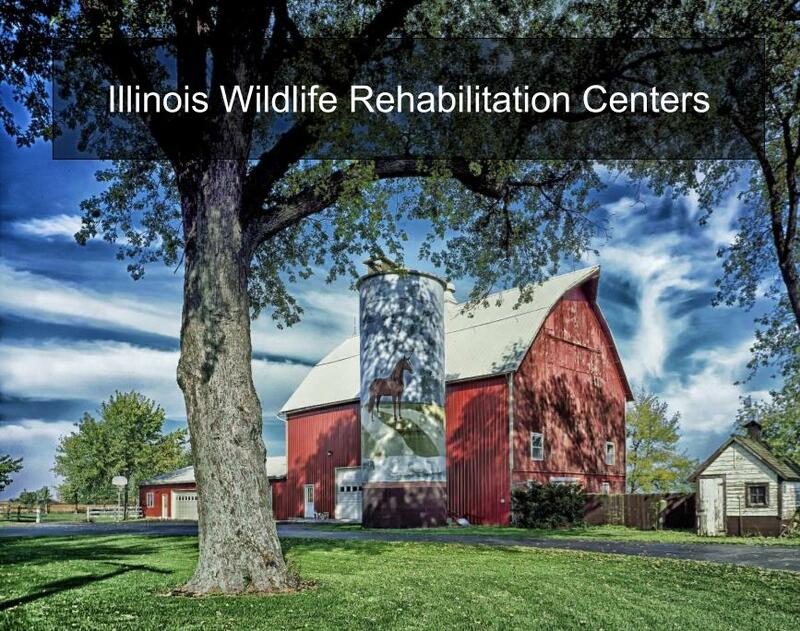 Beavers are the largest rodent species in Illinois. Most people know beavers eat wood and create dams, but that’s where most common knowledge on these incredible animal stops. Beavers are typically 3 to 4 feet long in size and generally weight between 40 and 90 pounds. Their fur is usually a reddish-brown color but can also appear darker to blackish brown. Thier tail is flat in appearance and is covered with dark, leathery scales. Their hind legs are longer than their front legs which aids in their swimming ability. In fact, their hind feet are actually webbed to help the beaver better maneuver while in the water. If you are looking for an animal with pretty teeth, keep looking! Beavers have large teeth in front that appear orange or red in color. These teeth (known as incisors) are what allow the beavers to chew through wood. Beavers are notorious for the amount of damage they can cause to property. This is mostly due to their diet and lifestyle. A beaver’s diet revolves around tree bark and vegetation. For the most part, the types of plants they eat are strongly dependent upon what is directly available in their local habitat. 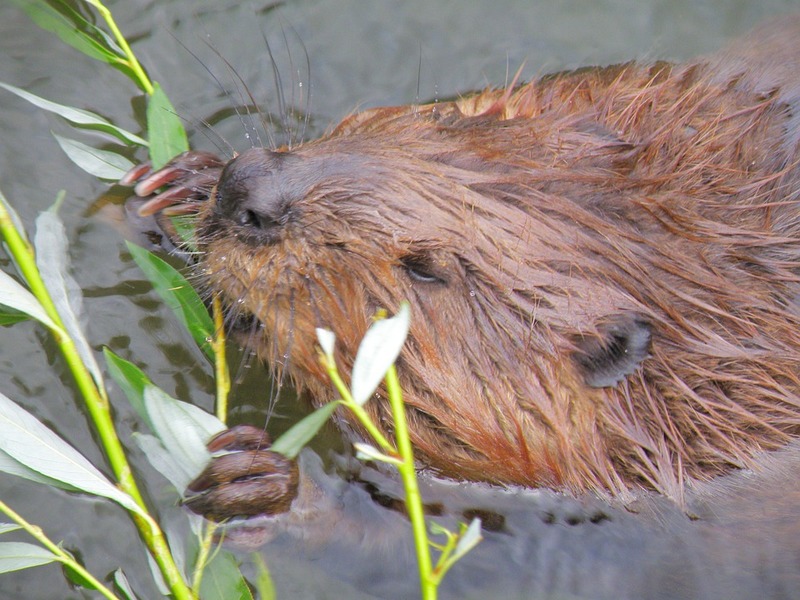 Beavers diet is mainly comprised of trees such as willow, birch, poplar, beech, and oak, to name a few, but, they also eat aquatic plants such as water lilies and cattails. 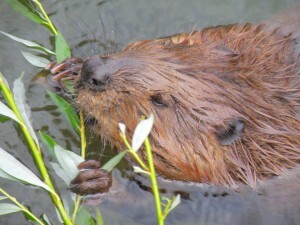 Due to their diet and their desire to live in structures on the water, beavers are notorious for chewing down trees to build their homes and stockpile food. This survival tactic can cause a lot of damage to property. 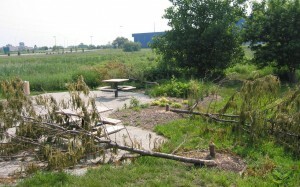 Landowners can experience expensive tree loss, damming and clogging drainage ditches, and are known to cause flooding. 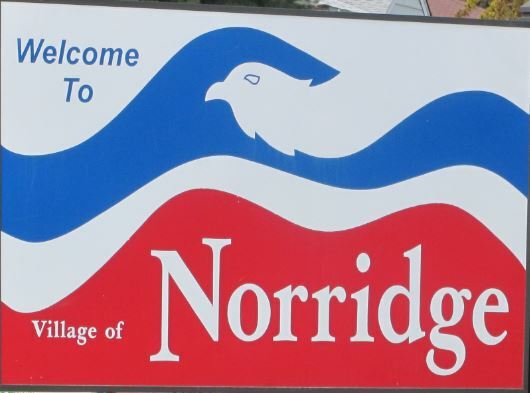 One thing to keep in mind is municipal laws and regulations. 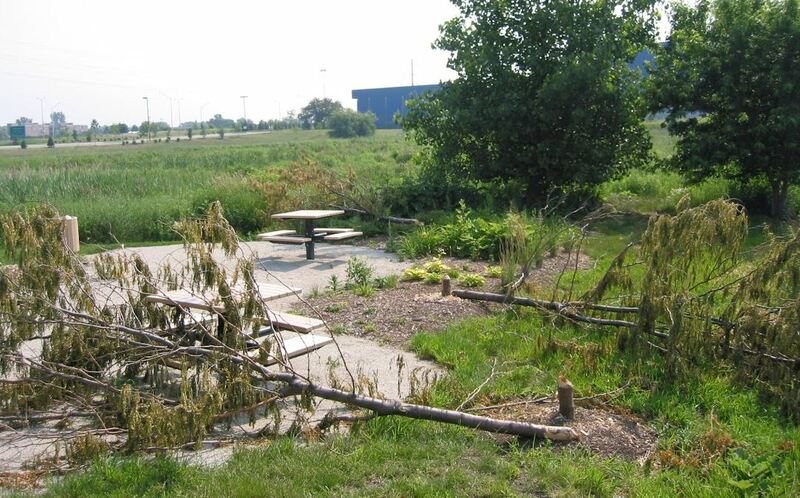 For example, the city of Schaumburg will require that property owners replace the trees downed by beavers. Depending on how many trees were affected you could potentially be liable for thousands of dollars in tree replacement cost. 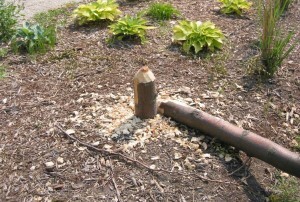 Beaver removal and prevention is best left to the professionals at Animal Trackers Wildlife. You see, once a beaver colony is established it can be very tough to control. 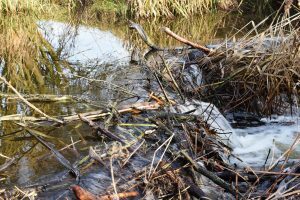 One of the reasons for the difficulty in removing Beavers is the difficulty accessing their habitat. The state of Illinois also restricts the placement of traps. Removing the dams or lodges can be ineffective as well, seeing as how the whole colony will work quickly work to reestablish those structures. Combine that with the fact that trapping involves catching all of the beavers of the colony, and you can see why you need to Call Us Today.